Mary Wollstonecraft was ahead of her time. She wrote "The Vindication of the Rights of Woman," in 1792 causing a huge controversy in England. Her ideas, including that women should be equal to men were revolutionary at the time. 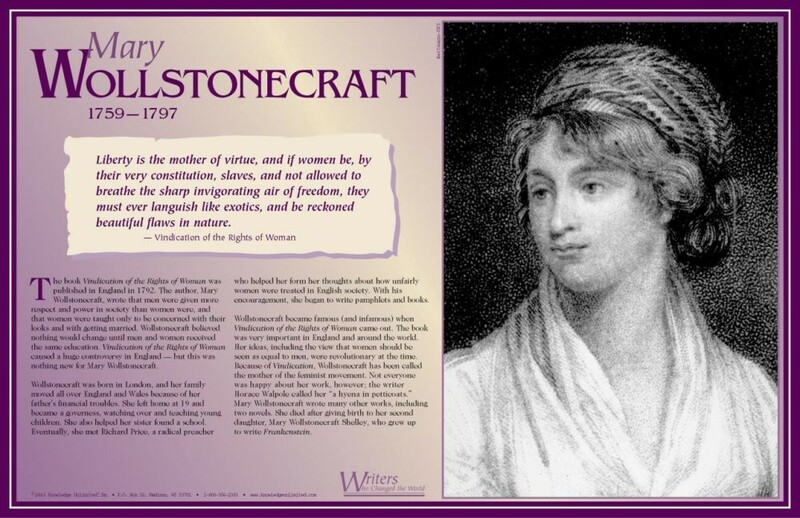 This poster features an artist's drawing of Marry Wollstonecraft, a biography that explains the importance of her work, and a quote from "Vindication of the Rights of Women." 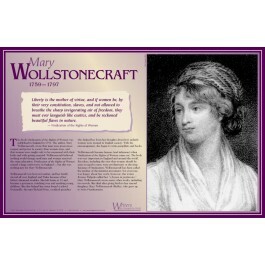 Did you know that Mary Wollstonecraft's daughter was the author of "Frankenstein?"